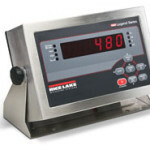 The Salter PS-series digital floor scale / veterinary scale provides consistent accuracy within 0.1% and comes equipped with an indicator for fast digital read out. This floor scale is portable, weighing only 60 lbs — two easy access carry handles makes this scale convenient to relocate. There is no need for ramps or recessed floors, as this floor scale comes with ramped ends. 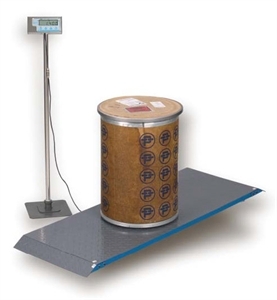 Salter Brecknell digital vet scales offer rugged steel platform with treaded surface to help keep animals or livestock from losing their grip and falling on the weighing platform. 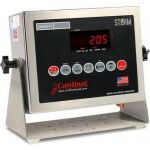 Livestock scales weigh up to 1000 pounds in 0.5 pound increments. 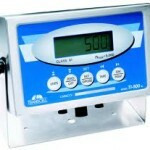 These Salter floor scales can be purchased with an indicator column stand or without.